Meet the new Server Core Program Manager! When I took my first steps with Server Core installations, I met the Principal Program Manager for Server Core within Microsoft at its TechEd event: Andrew Mason. Andrew is responsible for all the work done in the Server Core area, wrote at the Server Core blog, supplied answers on the TechNet Forums, and presented several times on the benefits of using Server Core installations compared to Full installations. Andrew is also responsible for making Server Core the default installation option in Windows Server 2012. A while ago, I noticed Andrew wasn’t with Microsoft anymore. After some investigation, I found out Andrew is now working with Amazon, apparently following the path laid out by Steve Riley and Jesper Johansson. Of course, I wish him the best of luck! Well. That question didn’t last long unanswered, since I met the Program Manager for Server Core last month, during a special MVP party at the balcony of the Palacio de Cibiles in Madrid during TechEd Europe 2013. Not only is Benjamin currently leading the team improving on Server Core functionality in Windows Server. He also is the guy that wrote the Get-DisplayResolution and Set-DisplayResolution PowerShell Cmdlets and the underlying setres.exe executable. These bits allows us to easily change the display resolution on the command line in both Server Core and Full installations of Windows Server 2012 and beyond. If you want to keep up to date with Server Core (or any featureset of a Microsoft product), it’s good to have the name of the Program Manager, since this is the person responsible for most of the communication around the featureset and most of the presentations at both internal and external Microsoft events. For instance, one of Benjamin’s presentations is already available online through Channel 9. Also, the last five posts on the Server Core blog have been written by Benjamin. 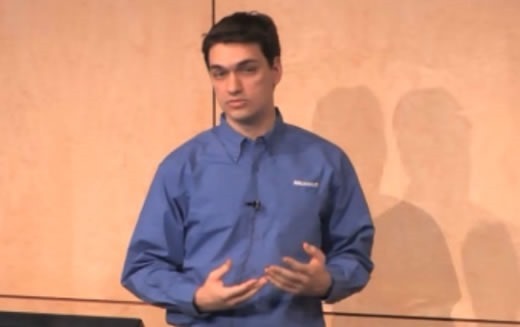 So, when you attend a Microsoft event and are looking for Server Core presentations, pick Benjamin Herila from the speaker list and go see his presentation(s)! On the TechNet Forums, Benjamin has already supplied answers on several questions, related to the work his team does. It’s not just Server Core, but also Windows Server Update Services (WSUS). If you see an answer from Benjamin, you’ll know it’s the definitive answer.